Add some extra fun and excitement in your holidays by participating in an unforgettable boat trip! 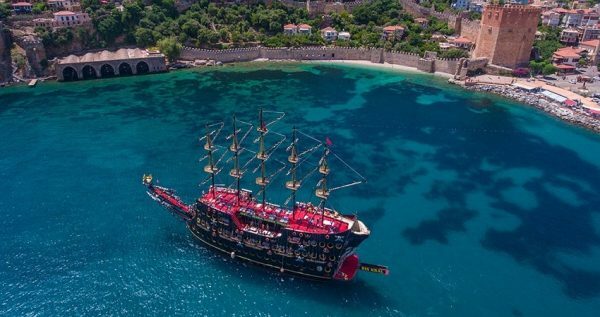 The iconic pirate ship Big Kral, is definitely what you are looking for in order to cruise in the waters of Mediterranean. 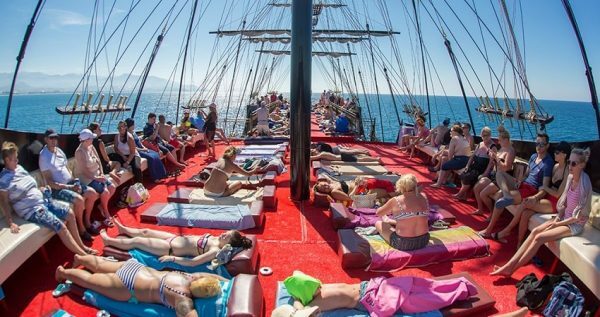 Enjoy swimming, beautiful landscapes and relax with the Side Pirate Boat Trip. Side Pirate Boat Trip starts in the morning. A modern and comfortable vehicle will pick you up from your hotel and drive you towards Türkler shore where the pier is. 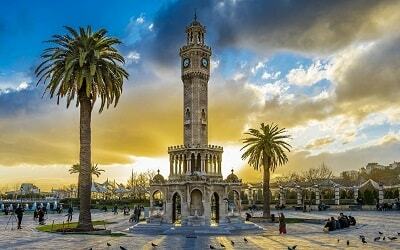 The departure point of the boat is located between Side and Alanya, at a distance around 45Km. You will be traveling with a 40m long, 4-story boat that has a capacity of 400 people. You will be impressed by its design and its luxurious interior that is ideal for your comfort during the trip. Departure time is scheduled at 09:30 and the first stop is at the Pirate and Lover’s Caves. There, you will have a short break to swim and enjoy the sea at the spectacular natural scenery with caves. 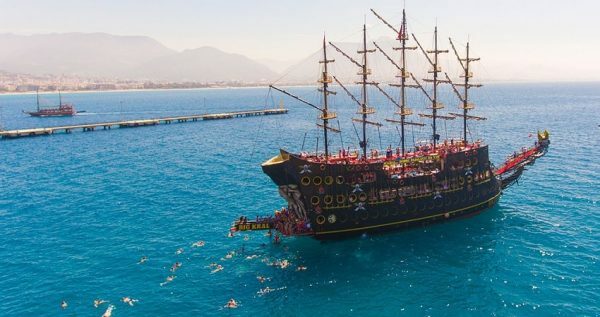 After the short swimming break, Side Pirate Boat Trip continues its journey towards Alanya’s harbour. 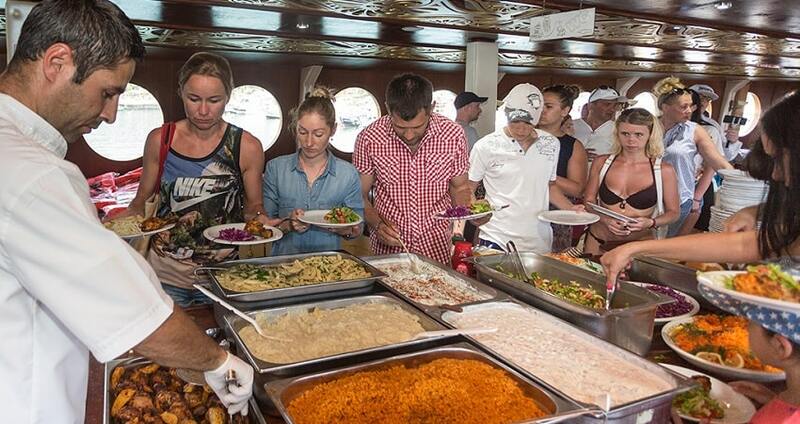 Once the boat enters the port, you will have the opportunity to enjoy a lunch aboard. 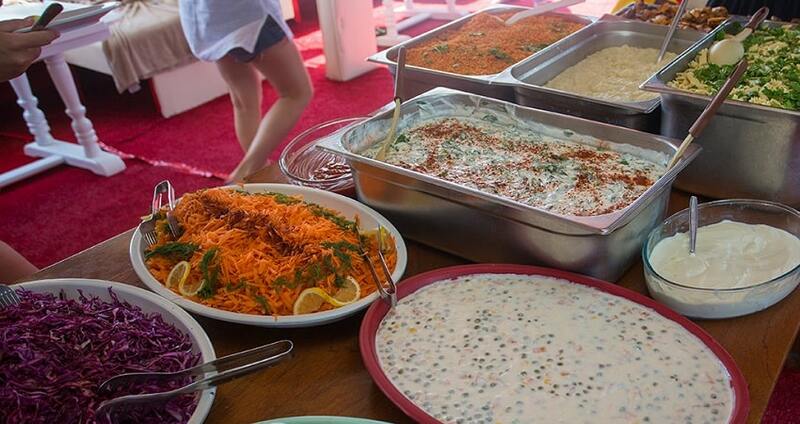 The lunch is an open unlimited buffet consisting of rice, pasta, six starters, three main courses and fruits. Through the Side Pirate Boat Trip, soft drinks are also included within the price. By the end of your lunch, there is a 1-hour and 30 minutes of free time to spend in Alanya. 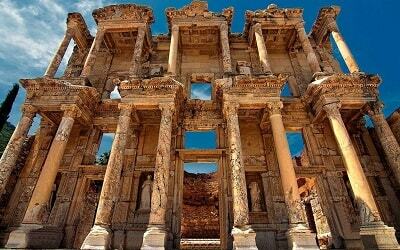 For those who wish to explore the city, there are a lot of tourist attractions like the Kızılkule (Red Castle), Shipyard, Alanya Castle and the Damlataş Cave. By the end of the free time, the pirates’ ship sails back. There will be several swimming stops during the return trip. Hence, take the opportunity to swim, relax and take some amazing photos of the crystal clear waters of the Mediterranean Sea. 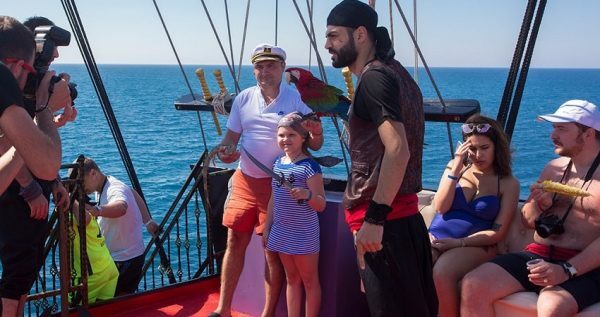 In is worth to mention that during Side Pirate Boat Trip, there will be professional entertainers aboard to facilitate some extra fun activities such as treasure hunt, pirate chase, Turkish dance show and face painting for the little ones. 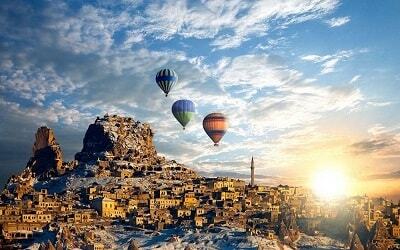 In addition, during the return trip a huge surprise awaits! A foam party on the boat is what follows! 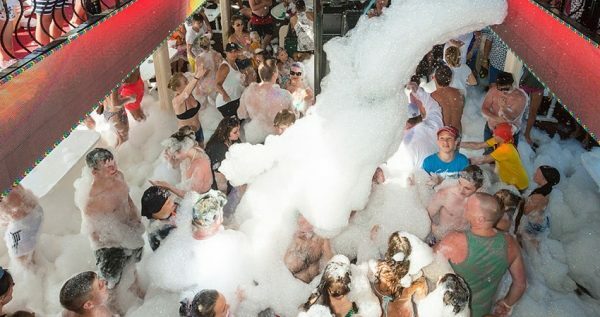 Dance while covered with foam and enjoy this excursion at its maximum! Your memories from this extraordinary experience will last for a long period of time. Side Pirate Boat Trip finishes by the time you reach the port. There, a comfortable vehicle will drive you back to your hotel during the afternoon. Side Manavgat Boat Trip is another pirate boat trip, you may like to check it out. 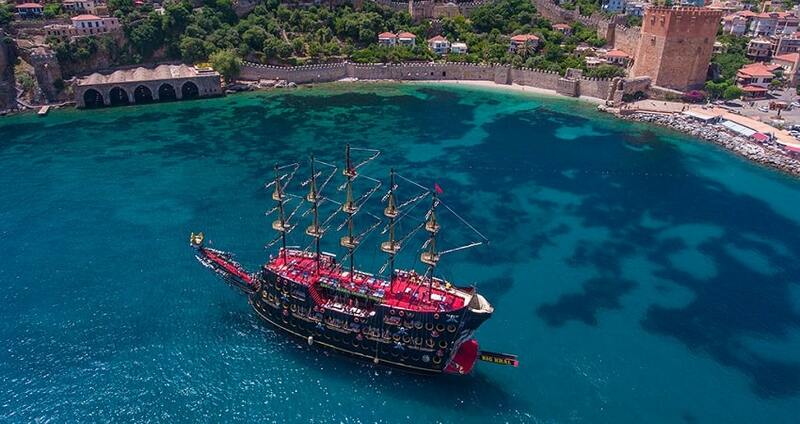 Cruise in Mediterranean’s crystal clear waters with an iconic pirates’ ship! 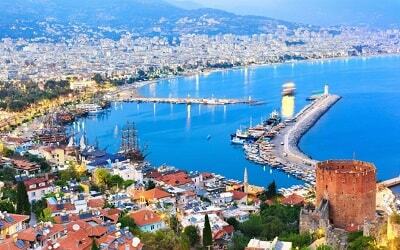 Enjoy a full-day boat trip and swim in unspoiled beaches, relax in a luxurious boat and explore the city of Alanya. 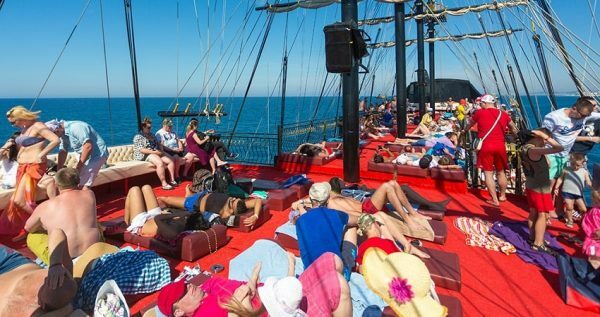 Sunbathing, foam party, lunch, all day soft drinks and many more are included within Side Pirate Boat Trip. Pick up from your hotel is scheduled in the morning. A comfortable vehicle will drive you for a distance of 45Km, towards Türkler shore where the pier is located. 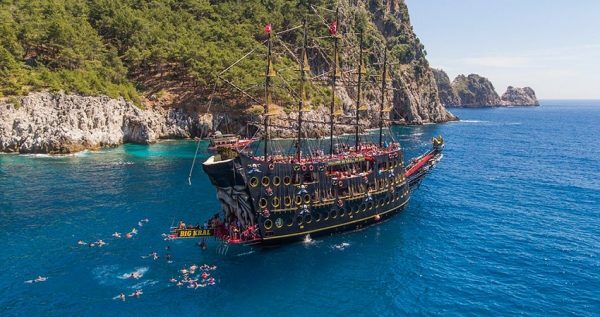 This iconic boat is ideal for your ultimate pirate experience. It is a 4-story boat, with luxurious interior and capacity of 400 people. Within the boat there are several activities for the kids like face painting so there is nothing to worry during your trip. In addition, the boat has toilets and bars. For you convenient, during the cruise you can enjoy free unlimited soft drinks. If you wish to drink local or imported alcohol beverages, then you can purchase them from the bar at an extra cost. The first two stops of Side Pirate Boat Trip will be made at the Pirate and Lovers Caves. These will be small breaks for swimming so take this amazing opportunity to swim in the turquoise and refreshing waters of the Mediterranean Sea. 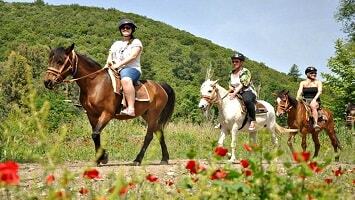 This amazing excursion is suitable for every member of the family. 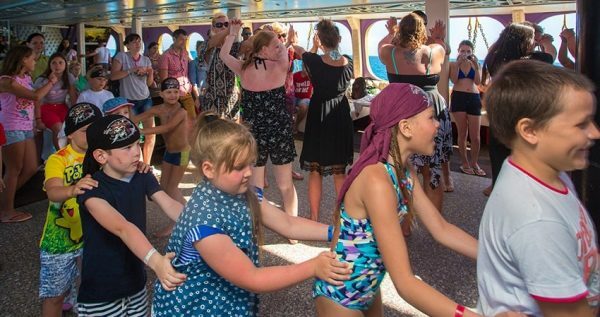 The boat is kids friendly with multiple activities on board. During the trip, children can participate in treasure hunt, face painting, pirates chase and dance shows. Parents can enjoy their time sunbathing, while the boat’s staff is taking care of the children. During the return trip there will be a foam party as well. Dance with upbeat music while you are fully covered with foam. 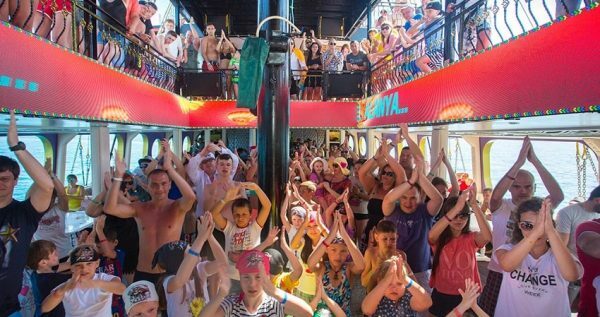 The best way to end your journey is to participate in this fun party aboard! Side Pirate Boat Trip ends by the afternoon. Once the boat arrives at the pier, a comfortable vehicle will drive you back to your hotel. By the end of the day you will be full of amazing memories from the pirates’ boat!